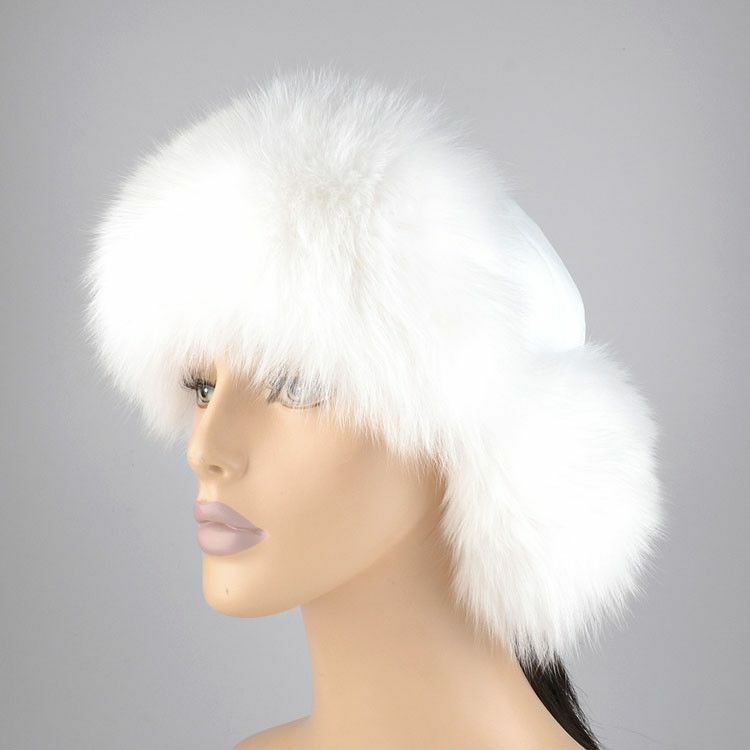 This white Winter hat is full of style and comfort. 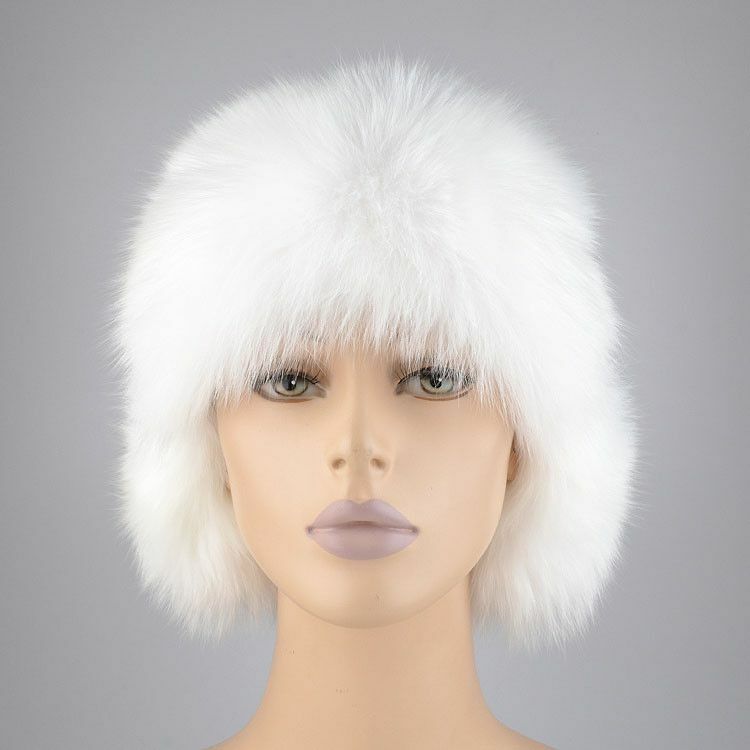 It was made by hand in Russia using genuine Polar Fox fur and soft white leather. 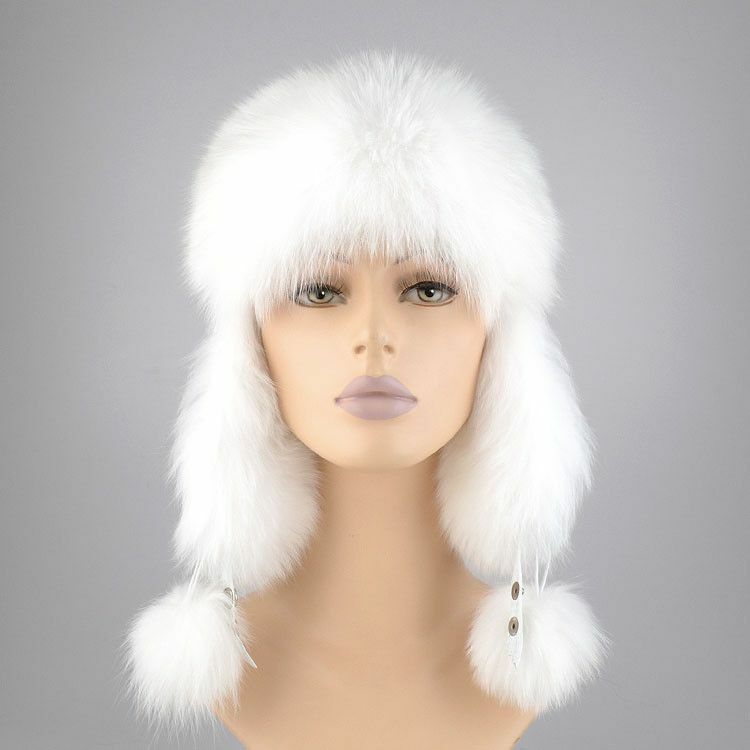 The fun pom-poms that dangle from elastic cords can easily be worn down or up. 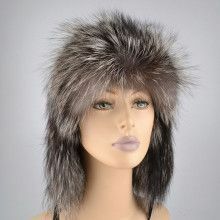 This medium-large hat has an elastic band in the back that helps the hat fit you perfectly. One size fits most.